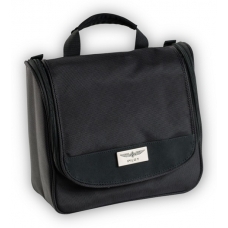 The bag is made of strong, water-resistant 1680 Nylon and has all-around padding. 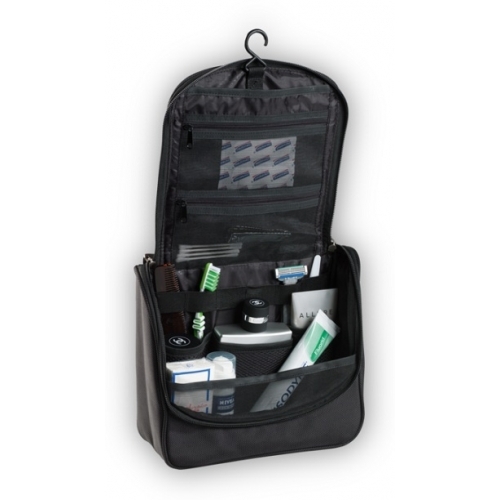 The main compartment is divided into three side compartments with six elastic straps, two compartments with a zip and a hook so that you can hang up the bag to save space. At the backside you will find an extra compartment with an integrated business card holder in case you should loose your bag.